Great fashion is timeless and Ginnie represents the great fashion of the Medieval translated into a modern variation. Ginnie making a grand entrance in her incredible gown. Consisting beaded long gown with an ample train to make a distinctive entrance in royal red/burgandy, and of course her shoes and royal jewelry. Comes with a stand. Ginnie is a fully articulated doll with 19 points of articulation and made of exclusive JAMIEshow J-Resin. 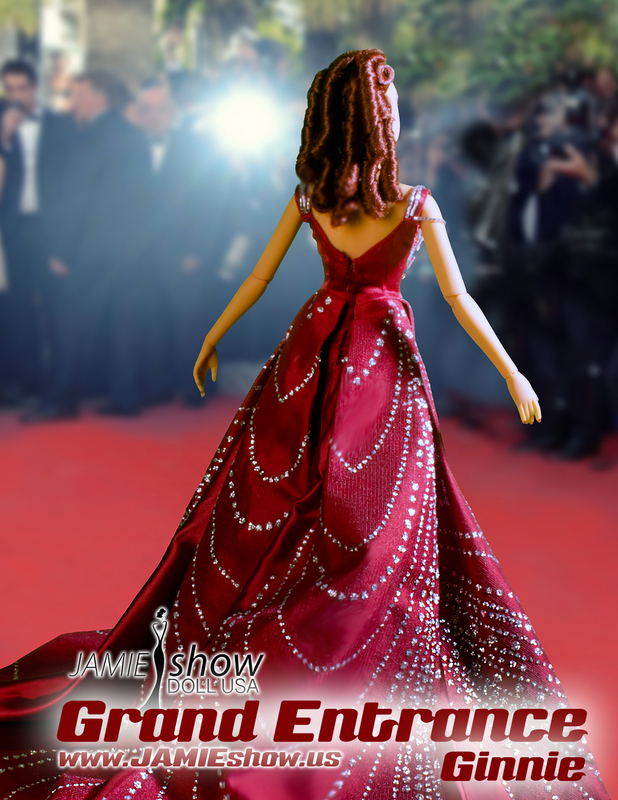 She comes with a rooted interchangeable wig cap which can be work by any of our other JAMIEshow dolls.